There are many ways you can use this series, and you don't have to do all of them. But the more of these you do, the more powerful the series can be! We'd love to hear back from you about how it worked in your community. Send your members to the online pages. The best way to do this is to email them each week during the series with a link to that week's page. Preach or teach on the weekly topic. 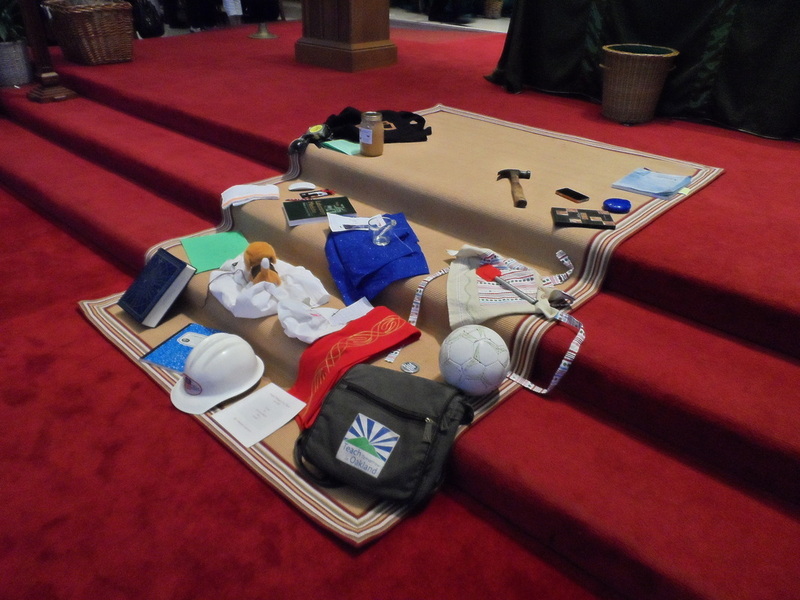 Each weekly topic is based on the weekly lectionary readings. Learn about the connection on the weekly leader page. The best way to prepare for this is to read the public pages and purchase one of the recommended books from our general resources list. Use our inserts in your bulletin. Each week will have a handout/insert including reflections and a reference to the web page. Facilitate small groups. We have some great recommended small group resources ready for you to use. 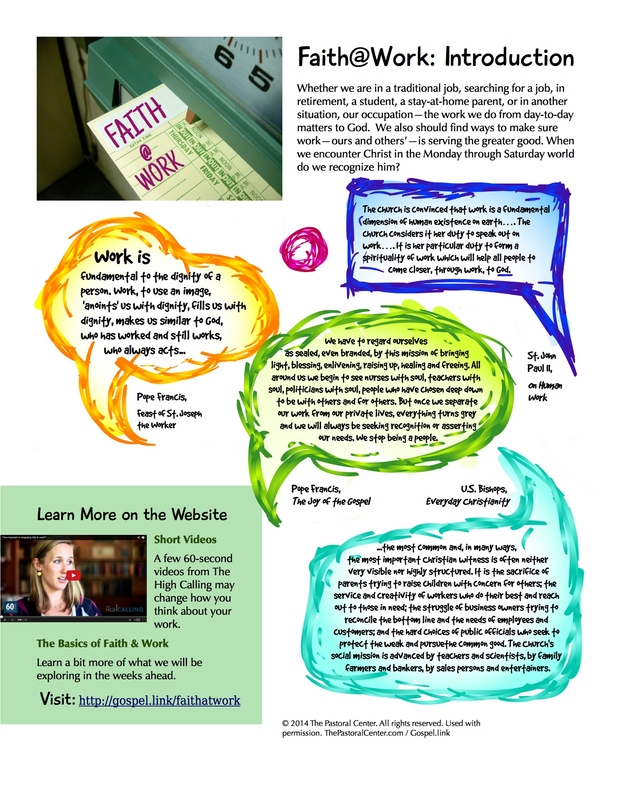 We offer two excellent options for helping your community gather in small faith sharing groups to reflect on the spirituality of work. 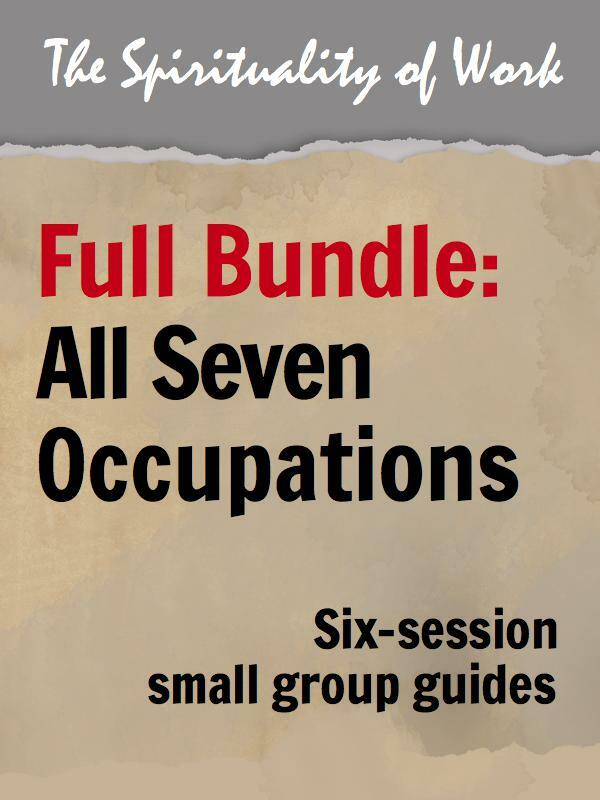 One is a print resource for any occupation and the other is an eResource with options for seven different occupations. 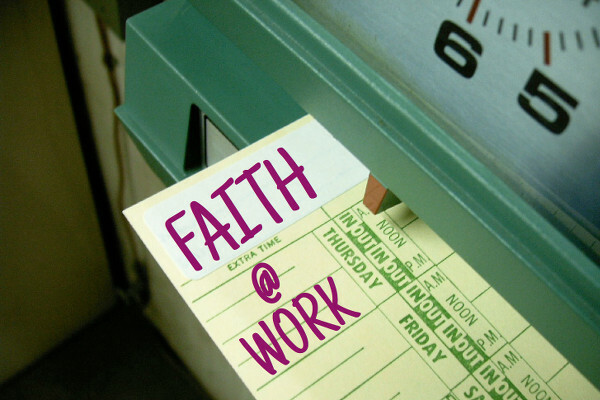 Preaching or teaching about the spirituality of work can be difficult for professional ministers, who are used to working within a very different work world. Choose one or more of these resources to gain a deeper understanding of this topic. The book Spirituality at Work is an excellent choice, as it closely follows this series. Below is an introductory handout or bulletin insert, that can be used leading up to the series. Each weekly leader page has a handout/insert for that week.